You are currently viewing: Posts Tagged "History"
The National Gallery of Art in Washington D.C. is running a show called “Renaissance to Revolution: French Drawings from the National Gallery of Art, 1500-1800″ from October 1, 2009 to January 31, 2010. I had the enormous opportunity to talk to Margaret Morgan Grasselli, the curator in charge of putting the whole show together. As a quick summary, in editing the video for the interview, I found it very hard to condense three centuries into less than 15 minutes. And to further condense, I will say that it is interesting that the French art in this period is strongly delineated in terms of a political timeline, that a king in the 16th century very consciously kicked off an artistic movement by inviting established Italian artists to France. As the kings changed, so too did the art, such that the art that would glorify kings became more ornate and “French.” Finally, as France moved toward revolution (beginning in 1789), the art also reflected that of the people aesthetic, with neoclassicism. The exhibit is great– go see it if you are in D.C. before the end of January 2010. 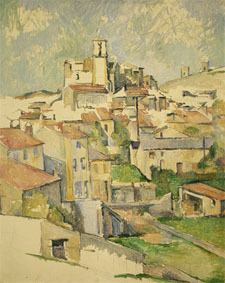 For more on the events that occurred during this period in France, the Heilbrunn Timeline of Art. The the Print and Photograph Division is also really helpful in that they let you download the image in either jpeg or tiff, in varying qualities. And if you’re really crazy about the image, you can buy a print of it, too. 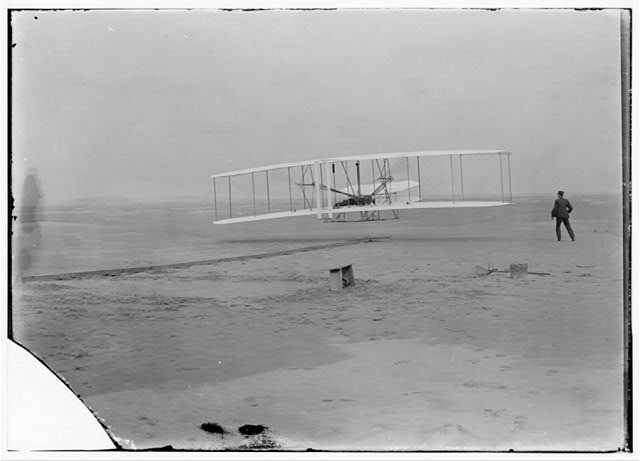 Now, aside from all of that helpfulness, think about this: you are seeing an image of the first flight! I find it very interesting that there is almost nothing else in the picture– no trees, no buildings, no other planes (obviously), and nothing else. Granted, they picked Kitty Hawk for those features, but it really emphasizes the two men and what is really a pretty primitive– but brilliant– device. Kinda makes me want to build something.